Richards-Gebaur Air Reserve Station is a closed United States Air Force base. It was located 17.7 miles (28.5 km) south of Kansas City, Missouri. It was closed in 1994. Opened in 1941 as a civil airport, Grandview Airport was used by both the Army Air Forces and the United States Navy during World War II as an overflow training airfield for Sedalia Army Airfield and Naval Air Station Olathe beginning in March 1944. The airport was acquired by the Army Air Forces Continental Air Forces, becoming an entirely military installation in February 1945. It later became a major United States Air Force base during the Cold War. NOTE: The above image is CGI. 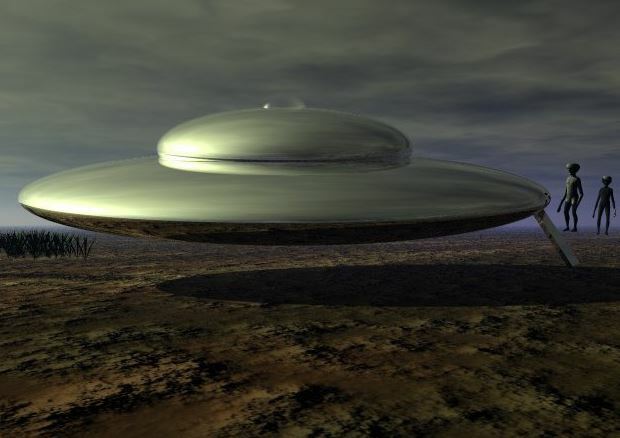 This entry was posted in ABDUCTION, best ufo photos, incredible ufo photos, MISSING TIME, top ufo news, UFO, UFO ARTICLES, ufo news, ufo photos and tagged 2003 AIR FORCE BASE UFO DISC, 2003 UFO DISC MISSOURI, 4-29-03 MISSOURI DISC UFO, ABDUCTION, ALIEN CRAFT, animal abduction, APRIL 29, army ufo, best ufo images, best ufo photos, best ufo pictures, best web site world ufo photos, biggest ufo web site, boomerang craft, chief investigator, CIGAR, civilian panic, commercial pilot ufo, COSMOMAUTS ALIEN ENCOUNTER, crashed disc, CYLINDER, cylindrical craft, diamond ufo, DISC, disclosure, discoveries on mars, discoveries on moon, FLYING SAUCER, government black ops, I.S.S. UFO, incredible ufo photos, international space station and ufo alien craft, KEN PFEIFER, ken Pfeifer discoveries, Ken Pfeifer State Director for MUFON in Rhode Island, Ken Pfeifer State Director for MUFON in Vermont, largest ufo photo website, largest ufo web site, largest ufo web site in the world, LIGHT, LIGHTS, marine ufo, MARS, mars discoveries, mars photos, MEN IN BLACK, MISSING TIME, MOON, moon discoveries, moon photos, MUFON, national press club ufo, navy ufo, no disclosure, ORB, ORBS, pfeifer, pyramid ufo, radio ken Pfeifer, rectangle ufo, RUSSIAN UFO, Saturn discoveries, saucer, secret society, SPACE ENCOUNTER, State Director Ken Pfeifer for MUFON in New Jersey, STRANGE, sun photos, swamp gas, top ufo news, TRIANGLE, ufo, UFO ARTICLES, ufo crash, UFO LANDING MISSOURI, ufo news, ufo photos | Tagged air force ufo, unidentified submerged object, unidentified submerged objects, uso, world largest ufo web site, world ufo photos and news, world ufo photos is the largest UFO photo website in the world by KEN PFEIFER. Bookmark the permalink.